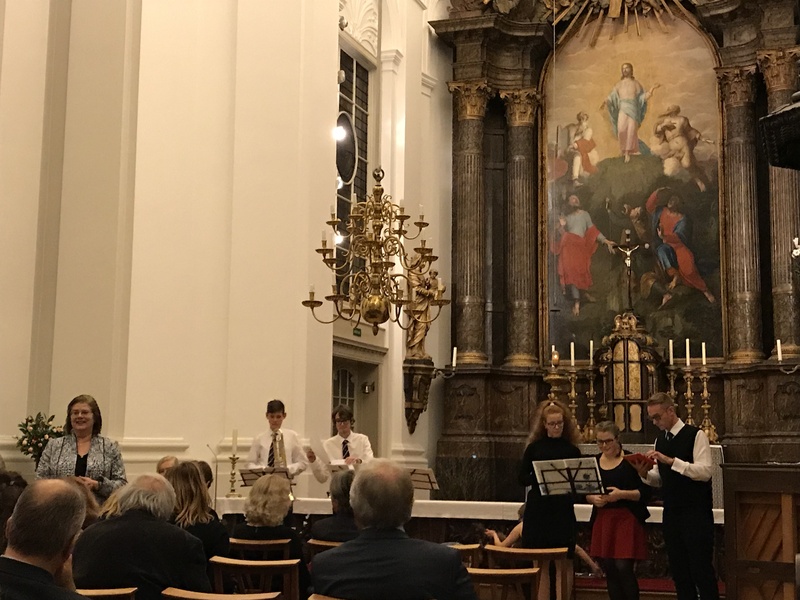 On 4 December 2018, the Embassy of the Czech Republic in The Hague together with the Czech Centre in the Netherlands organized an annual Christmas concert in Oud Katholieke Kerk (Kerk van de H.H. Jacobus en Augustinus) in The Hague, the Netherlands. The concert was performed by the Vocal and Instrumental Ensemble from the School of Arts in Louny, Czech Republic consisting of Adam Jínek, Natálie Kučerová, Viktorie Kádnerová, Zdeněk Mašek, Lucie Říhová and Tereza Matějková, conducted by Petr Novotný. The evening commenced by a warm welcome of H.E. Jan Reinišová, Czech Ambassador followed by an appealing musical programme including traditional Czech carols as well as a selection of old English Christmas pieces. The audience had an opportunity to join the Ensemble and sing with them some of the well-known Czech carols. 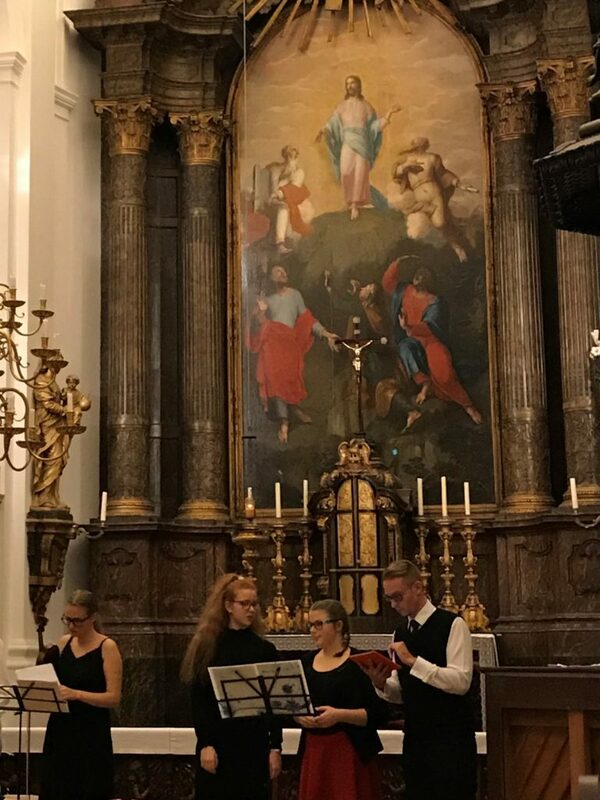 This already traditionally organized Christmas concert was mainly attended by the Czech community in the Netherlands as well as Dutch friends of the Czech Republic. After the concert the visitors were invited to enjoy mulled wine and some typical Czech confectionery while meeting the musicians.